We have carved a niche as one of the most eminent manufacturer & exporter of road construction plants, machinery and equipment as Asphalt Mix Plants, Concrete Batch Mix Plants, Wet Mix Plants, Asphalt Paver Finisher for canals with the best r aw materials in India. The materials used in the manufacturing are of optimum quality that ensures high durability and resistivity in Asphalt Plant to various corrosive attacks. 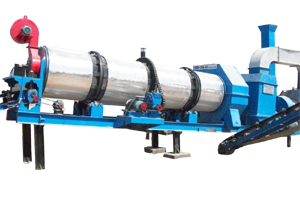 Customers can also enable the facility of Asphalt Mix Plant within the stipulated time frame. We are looking forward for business associates for Asphalt Mixing Plant from India and overseas. Our asphalt batch mix plant is the final solutions for customer requirements on quality, environment and economical investment. Dryer Drum gives higher fuel efficiency & reduces heat loses. Multi cone dust collector system. The unique flight design ensures total heat transfer to the aggregates which results in higher productivity & lower consumption of fuel.